6 years ago, my best friend and I had a dream. 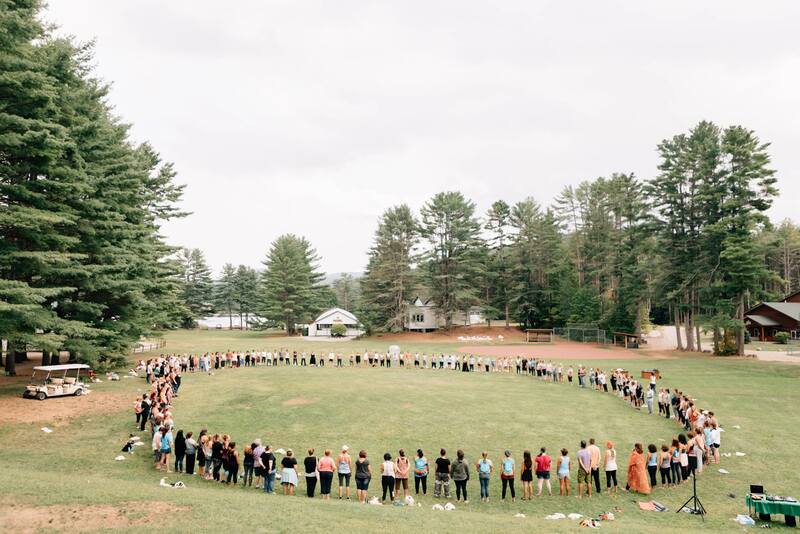 What if we brought together all of the most incredible healers, teachers & instructors we knew, and placed them at our favorite childhood home – SLEEPAWAY CAMP! – in a beautiful environment with lake toys and trampolines. What if we created a magical place where adult campers knew they were welcomed and belonged. A place that felt like the spiritual Disneyland – without the lines – where adults could explore like children from activity to activity – from astrology class to Tibetan Bowl Healing, from past life regression to booty yoga. A place where everyone was off their phones and present to each moment. Where adults could meet their best friends. And wake up to who they truly were – without distraction. We dreamt it up, and we wrote it down, and we named it Soul Camp. It became our world, it became our identity, it became our dream and were honored to guide it forward. Year after year, it became bigger and bigger. Camps sprung up in Chicago, Los Angeles, New York, New Jersey. We were written up. The lives of those who came to camp changed for the better. The hearts of everyone who came were changed for good. And then an interesting thing started to happen. It began to feel different. We began to hear a whisper, saying it was time for a change. So we changed instructors. We changed camp length. We changed activities. We heard the whisper. It was time for a change. The beautiful experience we had created was coming to an end. I imagine the feeling we had was like those of the writers of a long-running hit TV series. At some point, they feel that the show has run its course. Perhaps there’s a spin off, or a reunion special, but the series in it’s current form had energetically come to an end. Even though it was beloved. Even though it has an audience. Even though, even though, even though. Making a decision to end the dream you have been chasing isn’t usually talked about. Listening to the inner nudge that says, it’s time for something new to come through, it’s time for something different to be born, often takes a backseat to pushing through and “making it work”. This is true in relationships, in careers, in projects, in life. There are so many messages thrown at us in the vain of making it work. Hire this coach! Attend this seminar! Launch this sales page! Adjust your Facebook ads! But what if your dreams were simply allowed to change? Expected to change. What if you knew that there might be many different stages of metamorphosis before the butterfly took flight? What if the current dream you’re in is simply the first chrysalis? Soul Camp is having our final large-scale West-coast camp in October, but we truly believe that our wings are only now just starting to sprout. Michelle and Alison are co-founders of Soul Camp, a completely transformative sleep away camp for adults, and Soul Camp Creative, their full-service Marketing Agency devoted to working with conscious companies and brands that are positively impacting the planet. Their clients include coaches, teachers, healers, wellness practitioners, retreat centers, wellness facilities and any purpose-driven organization looking to empower people to live happier, healthier lives. Ali and Michelle and their companies have been featured in Oprah Magazine, Travel and Leisure, Fitness, Women’s Health, Good Morning America, ABC News, Parents, Fortune, Inc., and Forbes.